Winner of the Lexi Rudnitsky First Book Prize in Poetry, this unique debut collection explores the psychic existences beget by physical abnormality and imperfection. 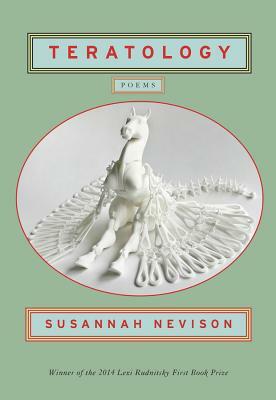 Susannah Nevison's poems name and reclaim the body, making and unmaking it, portraying the "marvelous monsters" that we all are--whether outside or in. Unflinching and brave, Teratology marks the emergence of a highly imaginative and compassionate poetic voice.